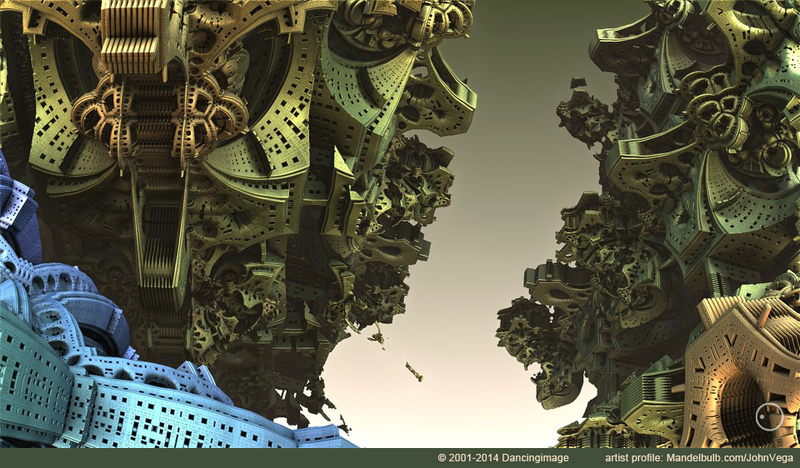 About: John Vega is a visionary artist who uses 3D fractal software to create work that evokes the spiritual experience—dreamy atmospheric scenes that mix subtilty and drama. 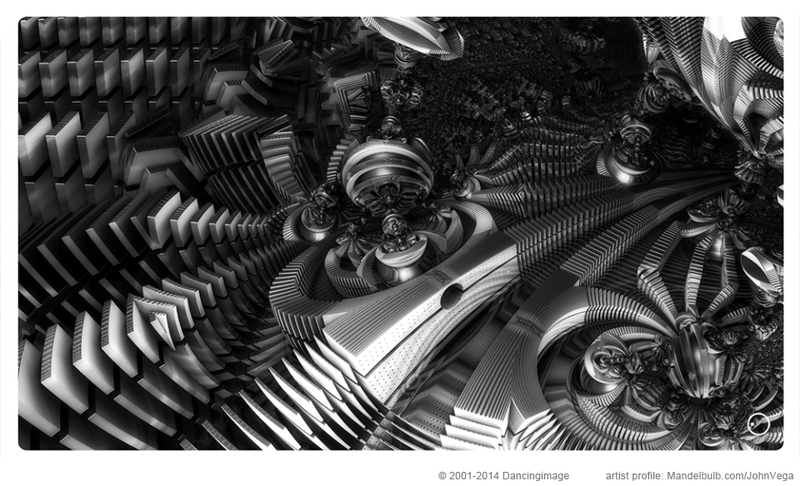 His work is philosophical, driven by theoretical concerns and the generative process. 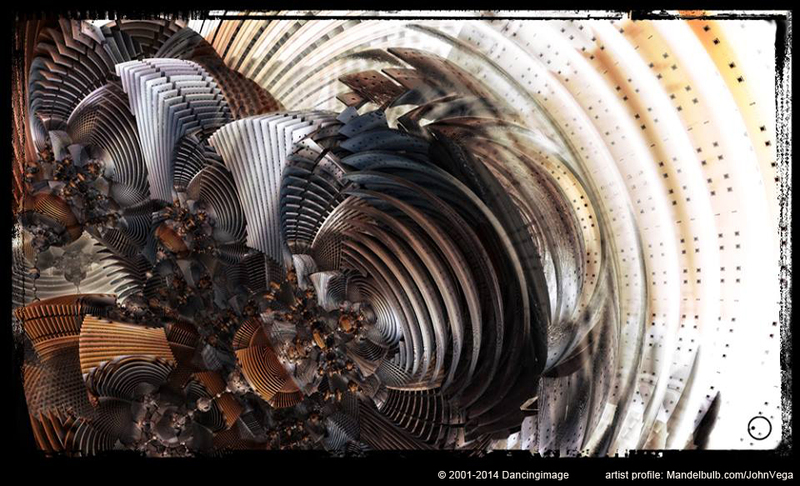 John uses science and technology to explore the nature of art and the artist, the self, and the creative experience. 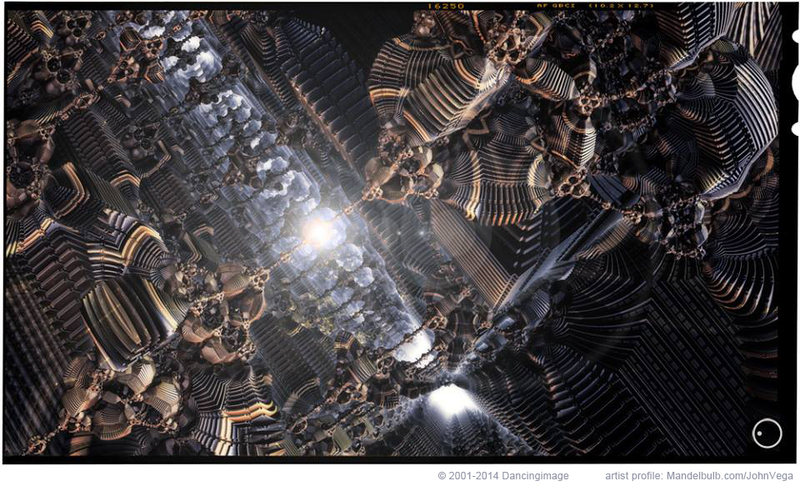 John’s work captures a wide range of 3D fractals., generating complex forms and using atmospheric effects to create mystical-seeming environments. 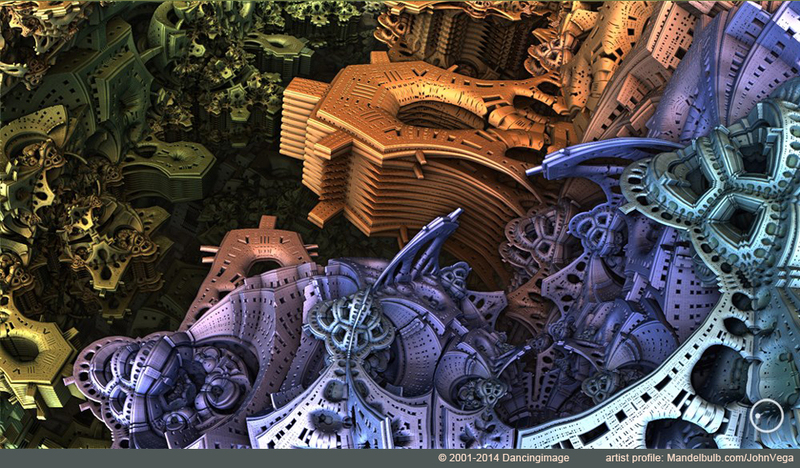 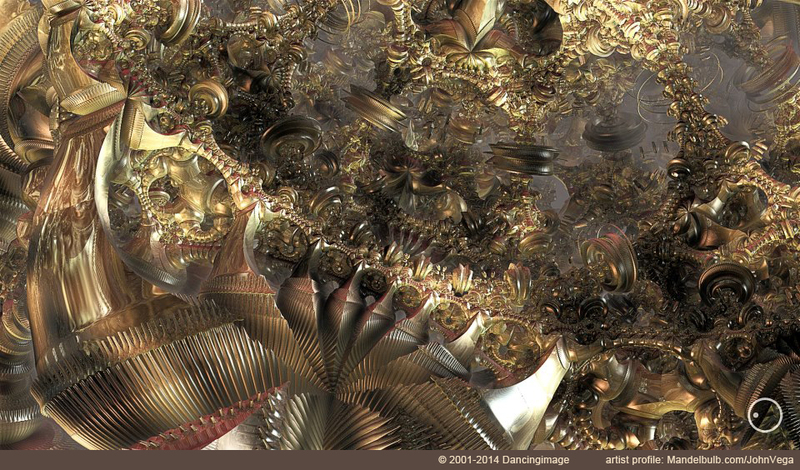 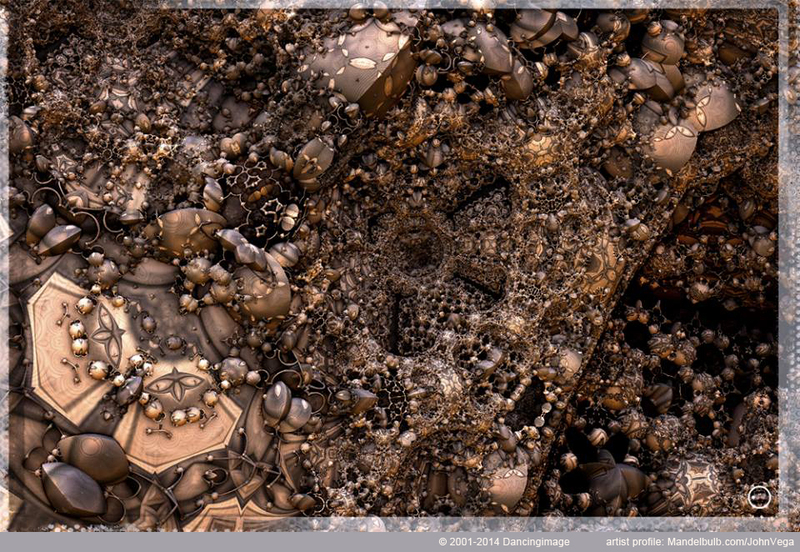 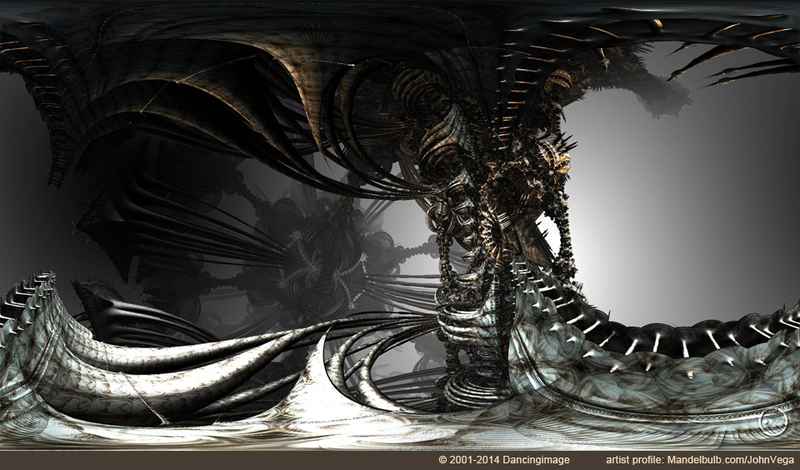 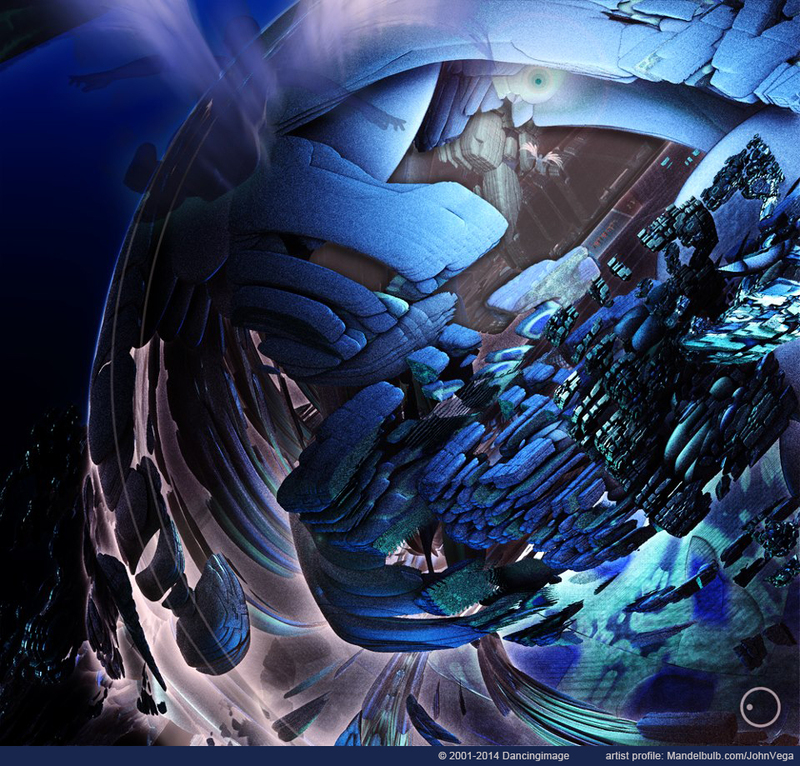 John has worked with both ‘raw fractals’—unmodified outputs rendered with fractal generation software—and ‘fractal manipulations’ where he employs digital editing techniques to his fractal renderings. 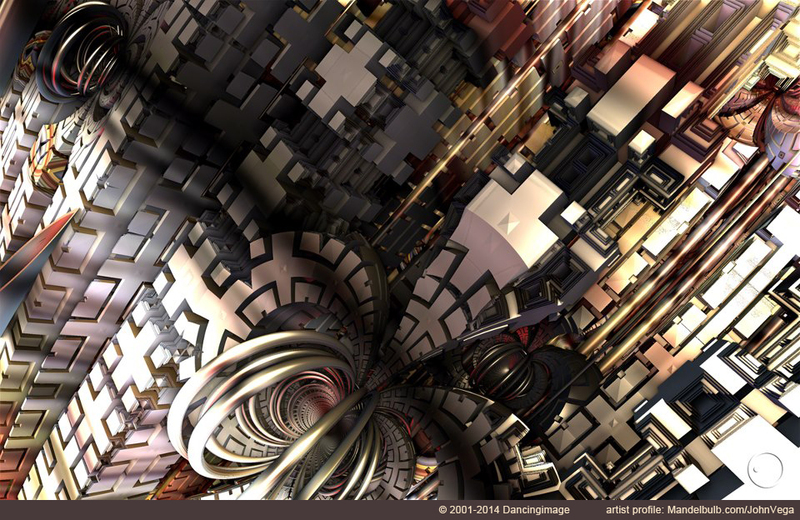 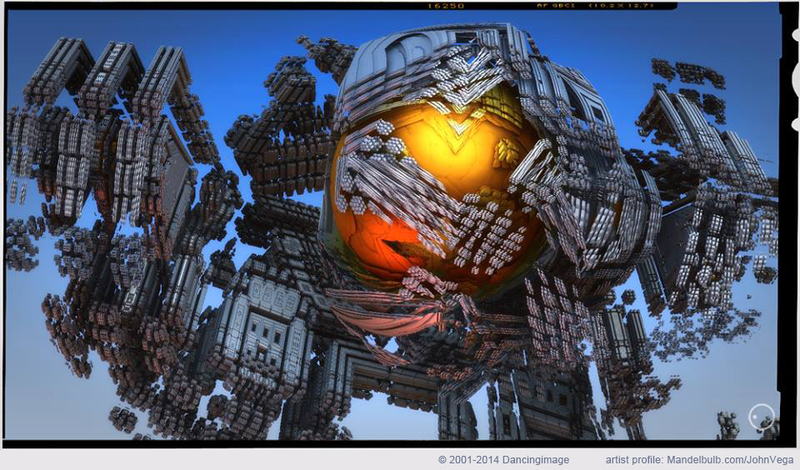 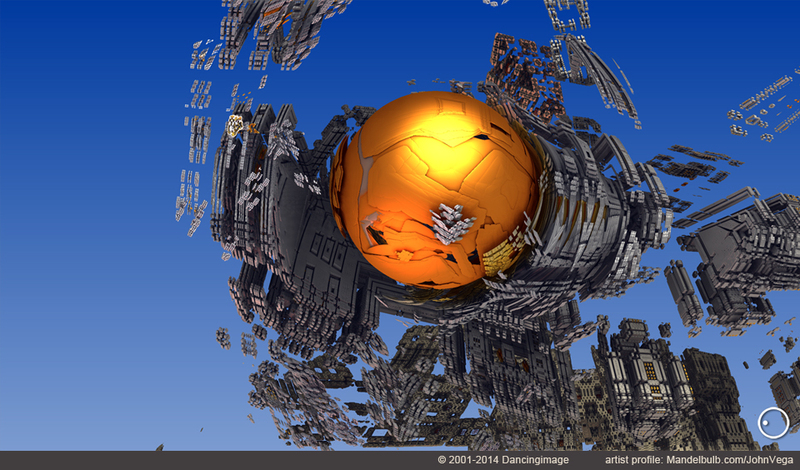 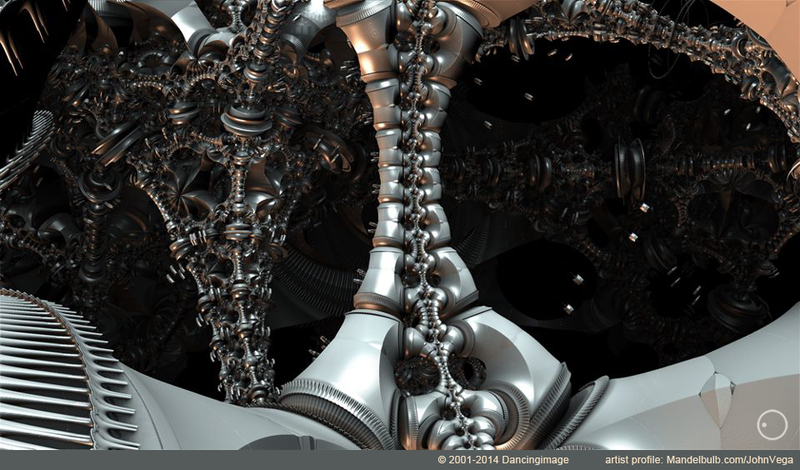 John Vega, who coined the terms “Mandelmorph” and “Mandelmorphosis,” is a very active member of the 3D fractal art community. 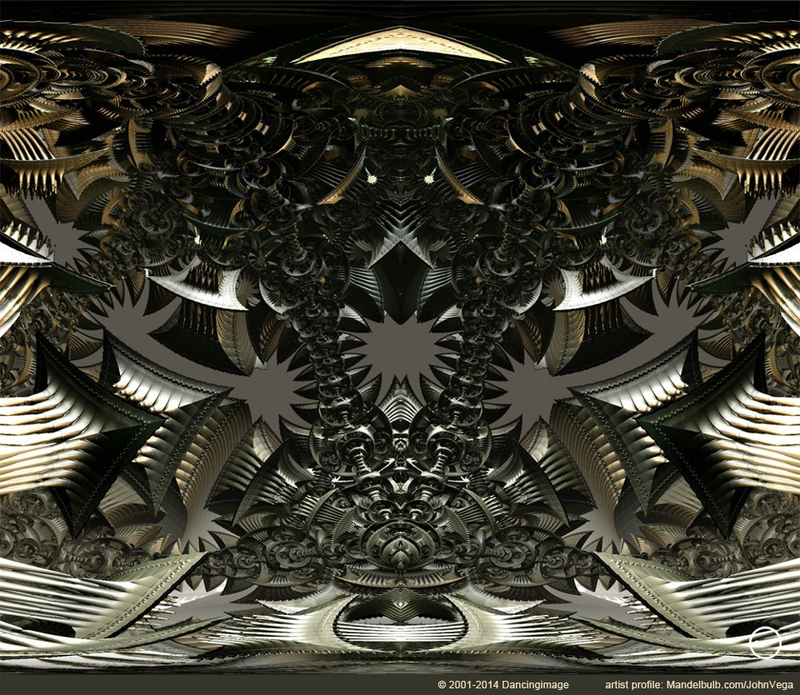 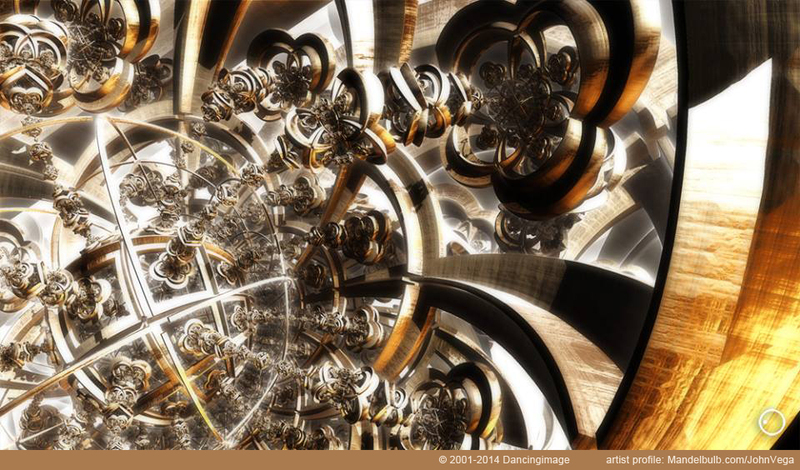 He runs the popular Mandelmorphosis facebook page, which features art from a range of cutting-edge artists working in fractal- and algorithmic- generative art. 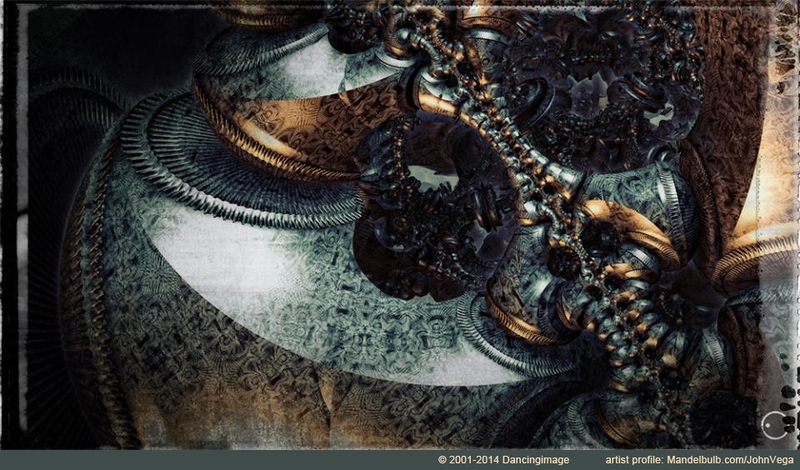 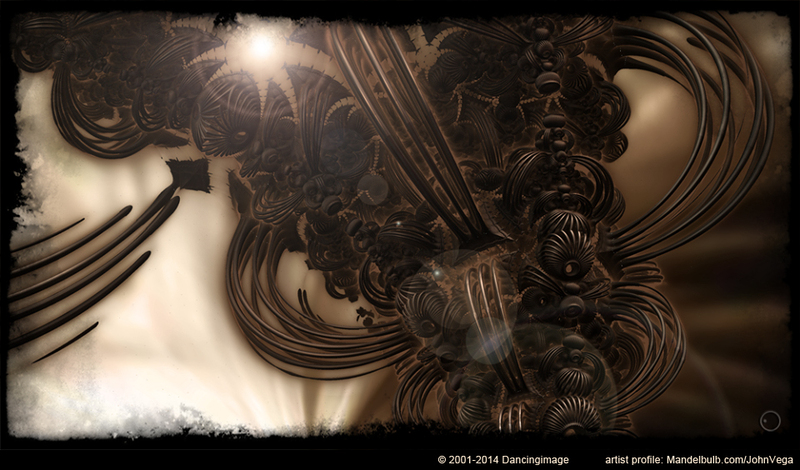 Images are © 2001-2014 Dancingimage and appear here with permission. 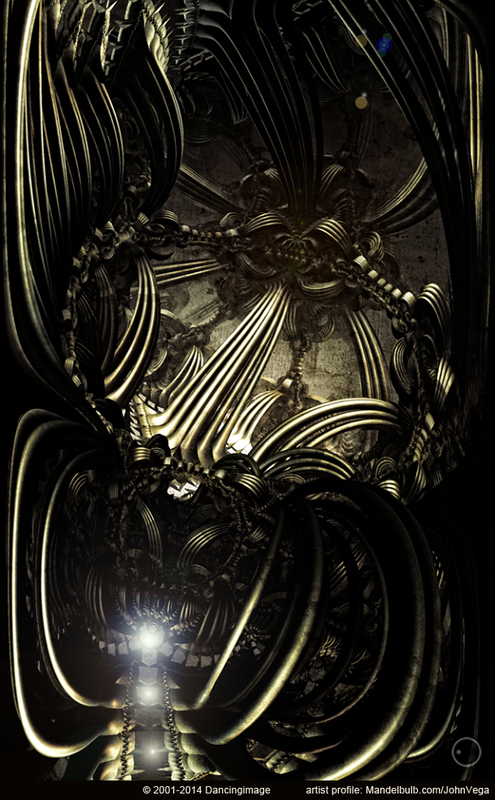 Follow John’s Mandelmorphosis page on Facebook.